NAS with excellent performance, security features, convenient web interface, good external USB drive support and optional application packages, easy drive mounting. iPAD users can use the SqueezePad app to remotely control the Logitec Media Server. iPhone users can use the iPeng app to remotely control the Logitec Media Server. Posted by bioss at 8:39 pm on May 28th, 2017. Categories: support. Tags: storage, synology. Logitech Media Server updates were discontinued by Synology for a while but are back. DSM 6.1.4-15217 includes an updated Logitech Media Server stable version. this LMS version is the LMS Repack based on the latest Synology package of Logitech Media Server, and updated to LMS 7.9.0. Read first the instructions on the Synology-Forum.nl (in Dutch). The iTunes library was generated by a Windows7 iTunes 64-bit version 12.2.1.16. Internet stream library entries and podcasts can cause a misbehaviour of the playlists and were removed. Apple’s Protected AAC Audio will not play and were converted (check my post how to convert). Posted by bioss at 3:29 pm on July 26th, 2015. Categories: support. 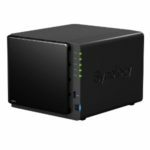 Tags: Squeezebox, storage, synology. Currently installed packages: Logitech Media Server (7.7.3-042), iTunes Server (1.1-2270), Perl (5.8.6-003). This Network Attached Storage (NAS) device provides an optional package for media streaming to the Logitech Squeezeboxes like the Classic and Radio. The Logitech Media Server supports iTunes playlist integration. The Audio, Video and Photo Station packages provide browsing from Adroid and iOS smartphones. The Synology Media Server provides media streaming to dlna/UPnP compatible players. this LMS version is the LMS Update based on the latest Synology package of Logitech Media Server, and updated to LMS 7.9.0. Read first the instructions on the Synology-Forum.nl (in Dutch). The iTunes library was generated by a MacOS X iTunes 64-bit version 12.3.2.35. Internet stream library entries and podcasts can cause a misbehaviour of the playlists and were removed. Apple’s Protected AAC Audio will not play and were converted (check my post how to convert). – you can stream music to your pc by using the client. Posted by bioss at 2:10 pm on March 25th, 2012. Posted by bioss at 3:09 pm on February 6th, 2012. Posted by bioss at 7:08 pm on September 15th, 2010. The latest firmware version installed on this device is Version 3.28. Works well with MacOS, Windows XP, Vista and Windows 7 & 10. Good network performance. Good subtitle support. Posted by bioss at 6:59 pm on September 15th, 2010. Categories: technical. Tags: storage, video. 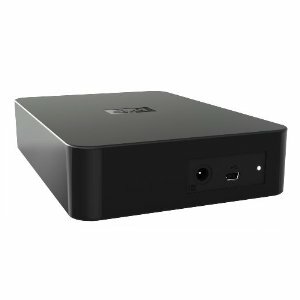 I recommend to register your products on the LaCie website. Posted by bioss at 6:56 pm on September 15th, 2010. Posted by bioss at 6:52 pm on September 15th, 2010. Posted by bioss at 6:38 pm on September 15th, 2010.